Secret code of a Super Girl featuring Rebecca Lindon, Creative director, editor, photographer of Wildling Magazine. 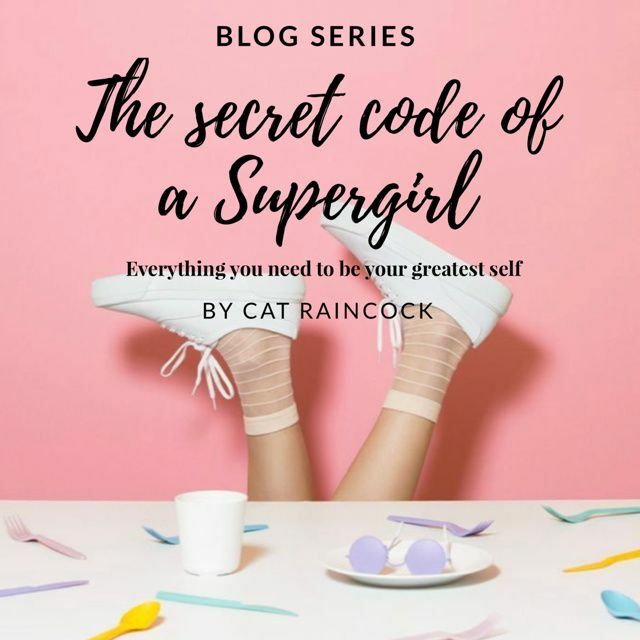 Truth: Authenticity is the new black, real, wild and natural are the key to a supergirl’s life. A Supergirl doesn’t worry about how many followers she has on Instagram. She shines her light and is confident in herself and doesn’t need +10k followers to remind her that she is doing ok because she knows that when she is real, honest and open she attracts an authentic follower. She knows that it’s about quality, not quantity. She keeps her focus on her clear, honest and real message and as she does she manifests a brand that draws in her wholehearted, awake tribe. This is how to build an ethical business that is based on sharing a message and transforming lives. A Supergirl uses her confidence and intuition and follows her instinct when making decisions. She trusts something so much bigger than her, the Universe and knows it has her back. As I have begun my journey as a mumpreneur I noticed how much importance society placed on building a platform, a social media message and of course the numbers! If you haven’t got over 10k you can’t get verified (which basically means, you can’t do the funky easy slide up thing!) and let’s face it, we are not going to leave IG stories to go back to the blog to read the blog on their website, life is busy and we want as little clicks as possible! Time is precious apparently, even if you know time doesn’t exist. If you have +20k followers you are deemed an ‘influencer’ but who is to say where all those followers have come from? Forgive me if I’m cynical but these days there are many companies that you can pay to grow your followers – take note of the big accounts that have little interaction on their posts, that’s a trick to detecting if it’s truly authentic or not. So, what’s my point? I was a culprit too of wanting lots of followers so that I could spread my message far and wide so I started to investigate methods to do this. Some of that came in the form of connecting with those ‘influencers’ but as I did, it all felt so inauthentic- a bit, you scratch mine and I’ll scratch yours and to me, it didn’t feel right. Over the last few months, as I navigate through life and keeping a close eye on the Universe’s messages, I kept being guided to people who work intuitively, who are about spreading a real, authentic message straight from the heart and not the head. I didn’t know I consciously felt this until my dear friend, soul sister and mentor Michelle Zelli and I chewed the cud and were both experiencing this inauthentic vibe as we climbed the ladder of so-called ‘popularity’ on social media. Both of us came to the conclusion that our values are about being real and authentic. I truly believe, that if you do this, the Universe will take care of the rest and abundance is right there, after all, it’s the law of attraction. I recently spoke with Katie Brockhurst, the social media angel who is about to release her book Social Media for the New Age, she advised me to put out social media posts that were real, open and authentic and in doing so I would attract a similar kind of tribe who truly like and want my message. This was such a refreshing view and what I liked about it most, it was authentic – none of these contrived plans to make money and ‘do’ what everyone else was doing. This was about being me and being consistent and in doing so, I would create the right kind of following and would lead to abundance in so many forms not just financially. It was the same for the publisher I signed my book contract with That guy’s house run by that guy Sean Patrick, his message to me was along the lines of ‘this is about getting your book out there, with your voice from the depths of your heart. You have a unique story and a message that needs to be shared.’ He isn’t about ripping off the author with tiny royalty percentages, or claiming ownership to your work, or changing the author’s message just to make money – quite the contrary, he is about real, authentic, heartfelt business for the real person. The old paradigm is shifting and a new one is dawning, no longer do the big publishing houses hold the keys, no longer do the big brands hold the power and no longer does the media hold the same power, we all have a voice now. These are exciting times! So, if you have a heartfelt, conscious, ethical business that you believe in, now is the time to start it, people want real, ethical, honest brands nowadays. Thankfully there is growing distrust of the big corporations that have dominated for so long, who don’t have our best interests at heart, only making money. If this resonates with you, let’s support the newbies coming through as this is the dawn of something great. This takes me on to my latest interview with Rebecca Lindon, she is open, wild and real. Her passion is supporting women and delivering high-end content to her authentic and honest audience. She is exactly what I mean about having a message to share, a passion that is illustrated through her photographic and publishing prowess. Her brand looks and feels real and her message is powerful, her content is conscious and she is another refreshing illustration of an authentic brand doing good in the world and creating change in people’s lives, particularly women. Calling all Supergirls and Mums out there – this is for you! Truth: All women and mums are Superheroes in disguise. You run the mothership. When you realise how frickin’ brilliant you are as a mum and a woman, you will set yourself up for greatness! Motherhood brings so many wonderful times, lessons and laughs, it can equally be the hardest, most exhausting and challenging time. I like to think of my life as two parts, one before I was a mother and one after. When I had children, it was the catalyst that triggered my midlife meltdown. Self-care, self-love and any connection with myself was so far from my understanding, I was asleep in so many ways. It was only when the darkness hit that I discovered the light. Social media has it benefits and often in the form of inspiring and uplifting posts from women who have walked the path and share their motivation and love to all those that are making early steps back to themselves. Thank goodness for Wildling, a website, magazine blog and Instagram account that was launched to encourage mothers to focus on self-care and self-prioritisation at a time when our needs and desires are often bottom of the pile due to the demands of family life. If you’re a mum reading this, you know it and I know it, you’re finding little time for yourself. Rebecca Lindon, mum of two, is the mastermind behind Wildling Woman encourages women to find their personal joy outside of their role as a mother, develop their personal goals, birth creative ideas, speak your truth and build self-worth. She believes when you develop that version of yourself and bring it back to your family, they are seeing the absolute best of you are and everyone benefits. Wildling Woman showcases interviews with women who are embracing that journey, in order to inspire us all. I was lucky enough to be one of those women who has found my passion and it has transformed my family life but the biggest challenge has been to find balance. Once you find that, that is the sweet spot. Becoming a mum can be an empowering experience to see your body grow life, feed life and nourish lives at the same time, it can be the trigger for disempowerment, especially with how society is set up. We are conditioned to believe we are powerless as mums to be. You gotta buy this contraption and that plastic that to prep for your babies’ arrival – if you don’t, motherhood will be hard and at best, impossible. You gotta have this drug and this gyno or birth will be harder, at best excruciating. With this in mind, Rebecca launched Wildling Magazine for families after giving birth to her second child. She had always felt that the ‘system’ and societal norms that most of us live by are ‘not creating rounded, fulfilled individuals’. I recently sat down with Rebecca while she shared that the point of Wildling was to ‘show parents that there are other ways to raise your children – world-schooling, unschooling, learning from nature, encouraging empathy over the competition, connecting with spirit.’ And it was this that then birthed Wildling Woman following her family break up when she went on an inward journey to re-establish who she was outside of her role as a mother and heal herself on all levels. In the process of doing that work and as she did, she found it to be incredibly healing for other women to hear her story and she felt passionate about taking it to a wider audience. I know the feeling – this was exactly like me and my story and how I came to share my journey with you! From personal experience and the advice of Rebecca, another piece of ammo to add to your arsenal of motherhood is accepting the support of other women, not just this but whilst accepting it, giving and supporting other women. Enough of the days of judging other mothers and tutting at their choices, sniggering under your breath and rolling your eyes at the woman next to you on the bus with screaming children. Enough of pretending life is perfect with your newborn baby or life with 3 little ones. Show and share your imperfections! Let’s get real! Rebecca is emphatic about the need to see authentic mothers, not false realities. This is empowerment. It’s time to create a sisterhood and we are no doubt stronger together. This is echoed in the ethos of Wildling Woman. It is about ‘letting mothers of all backgrounds talk about their journey of healing and allow women to connect with that. Hopefully to start their own journey and inspire others in the process. It’s a community where you can speak your truth with no fear of judgment and understand the value of standing with other women.’ Such powerful stuff and so refreshing to see, let’s make this the norm and gossiping and judgement the past. Ladies, we are strong but even stronger together. – Be truthful in everything you do. Check out my latest article in Wildling magazine the magazine for wild women and free-spirited families, where I’m talking infertility and why the power lies with us, not big pharma, when we release the subconscious blocks through powerful hypnosis (RTT). It’s time to look at alternatives because the paradigm is shifting.